I’m glad there doing this new site. It was hard separating the good and bad add-ons hopefully this will help. I do have a request or inquiry though…. 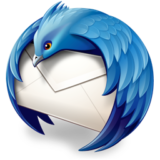 What Ever happened to the Thunderbird BACKUP and RESTORE Utility? Why was that abandoned? Is that work properly ? All links for themes go to a Not Found Page eg – https://addons.thunderbird.net/en-GB/thunderbird/addon/10900/ – all links appear to go to 10900 which shows this – We’re sorry, but we can’t find what you’re looking for. The page or file you requested wasn’t found on our site. It’s possible that you clicked a link that’s out of date, or typed in the address incorrectly.